I've been wanting to make this cocktail for months, ever since I scheduled my Midwestern roundabout (Mtl -->StL -->CHI -->TOR -->Mtl) for late April and knew I'd get the chance to revisit The Matchbox, that sliver of a Chicago watering hole that is basically the greatest bar on Earth. To sate myself in the weeks prior, I read through Matchbox's Yelp reviews and saw that, time and again, opiners were recommending the pineapple gimlet. Doesn't that sound ah-mah-zing? A pineapple gimlet! And then the PhoBlograpHusband and I finally went to The Matchbox and got the last two seats at the bar during happy hour. It seemed foolish for me to order and pay for an entire cocktail that I could only take one sip of (per my own pregnancy rules) so I asked Sean to order himself a pineapple gimlet and he said no. He was in the mood for a Manhattan. I suppose I could choose to call my husband a big, fat jerk at this point but it's really OK. I pouted for a moment and then moved on. Except not entirely, because I still just knew that I had to try making a pineapple gimlet of my own, at home, for you, me, the blog and that selfish hubs o'mine. And in fact, when that finally happened, it was Sean who took the wheel and hammered this recipe out (because every now and then in my 30-something weeks of pregnancy I just hit a wall and have to go sit comatosely for a while). 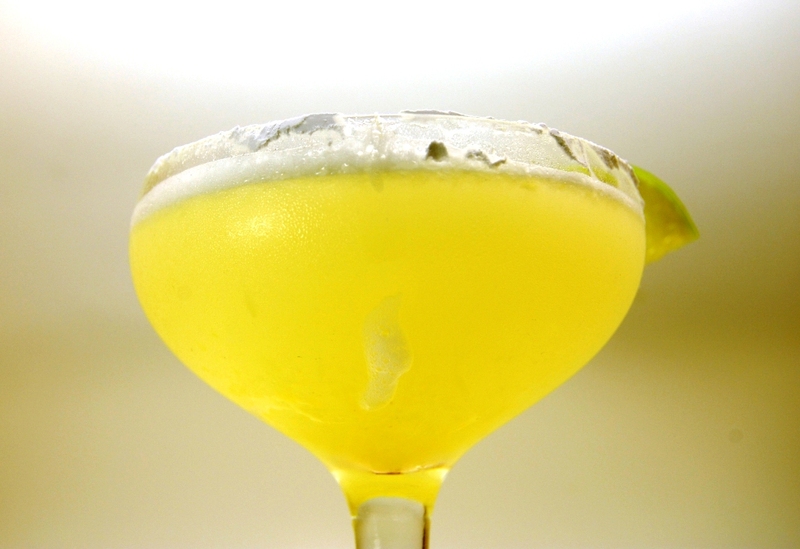 Sean did everything right with this pineapple gimlet recipe, and the cocktail is quite divine: light in body yet full and round in flavor. You taste the lime juice first, its citrus tang bullish out of the gate, and then for an aftertaste you get the comparatively soft and lilting taste of pineapple. Sean used less egg white than I probably would have, resulting in a drink with more visual clarity (and probably more clarity on the palate as well). Usually, out of sheer laziness, I just plop the entire, raw white of an egg into my shaker, but here Sean carefully portioned out just half of the white. 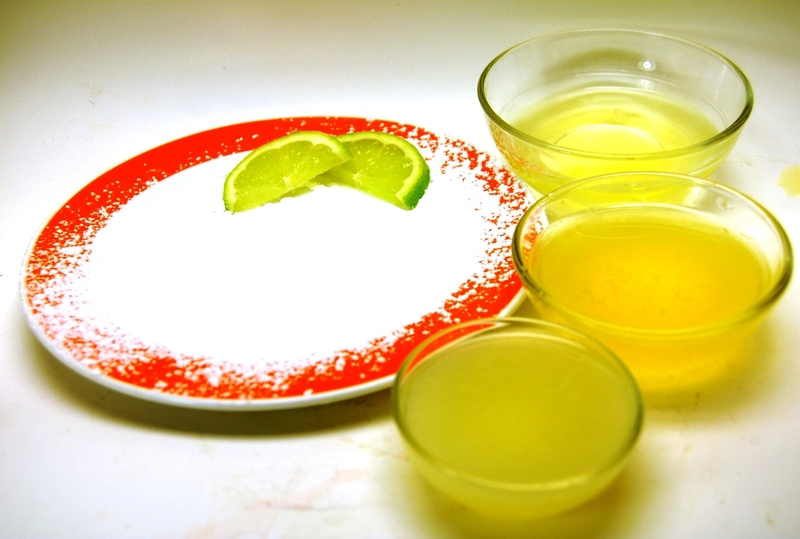 Adding raw egg white to a cocktail, as well as complementing the drink with a rim of confectioner's sugar, are two tricks I learned years ago thanks to The Matchbox. Rim a cocktail glass with confectioner's sugar and set aside. Pour all liquid ingredients into a shaker and shake vigorously for about 30 seconds (aka, a dry shake). Then fill with ice and do so again. Strain into your glass and add garnish. Yeah, I made this a vodka pineapple gimlet rather than a gin one. Again, thought it might result in a flavor with more clarity, plus it gave me the chance to use our gifted Akvinta Vodka, which is clear-tasting in all those good vodka ways to say the least.